A peek inside an attar pitari. Long before women were seen in jeans and men wore earrings, unisex was a word in India’s world of perfumes or itrs. 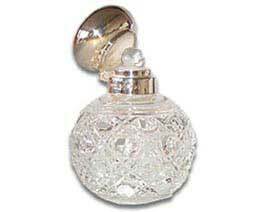 The fragrances of itr, or attar as it is commonly known, are divided by factors other than gender. Unlike their Western counterpart, there are no masculine or feminine fragrances. The rules that exist are strict. Factors like the season, the occasion and of course, the temperament influence what you wear and when. The Maharjas of the erstwhile states of Gwaliar, Patiala, Darbhanga, Mysore and even Maharaja Ranjit Singh are counted amongst the most famous users of attars. Amongst the modern Indian dignitaries is former President Shanker Dayal Sharma, who is a connoisseur of attar Chameli. Another President, Dr S Radhakrishnan, was fond of the light fragrance of Majuma. Indira Gandhi used attar Heena in winters. The word itr means perfume in Arabic and its corrupted form – attar- is accepted in the Oxford dictionary. Their pedigree dates back over 2000 years. In India itr has been a part of the cultured lifestyle. The early documented use of itr is in Abul Fazal’s account of Akbar’s court in Aain-e-Akbari. Abul Fazal mentions Akbar using attar along with incense sticks burnt daily in gold and silver censers. Noorjehan, the Mughal empress, is credited with the discovery of itr. Legend has it that she liked crushed rose petals in her bath water and discovered the most exquisite and costly of all itrs – the Rooh Gulab. Legend says that once when she went for her bath she found an oily layer over the water kept to cool overnight, which when distilled became the famous rose perfume. Some ascribe the discovery to her Persian mother and still others say that it was an ordinary woman in Persia, the famous centre of Taifi or rose itr, who discovered the perfume in the 17th century. Traditional attar families hold the secrets of distillation , which is a very specialised job. Simply explained, itr is the pure extract of flowers in sandalwood oil. The oil forms an ideal base for perfumes as during the distillation, the original perfume of sandalwood vanishes and the oil captures the fragrance of the flower. No chemical is used in attars and more often than not they are not blended, but pure perfumes made from petals or other perfumed substances. The valley of Taif in Western Saudi Arabia near Jeddah is famous the world over for its rose attar and water. The rosebuds known as taifi to the locals are plucked when they have just opened up and before the sun’s rays diminish the oils, which contain the essence of their perfume. The distillation is done in several tin-lined copper pots which can hold about 50 litres of water each. Approximately 10,000 roses are put in each container. The pot is then tightly sealed and the mix simmers for six hours. The steam collected goes through a tube that passes through a pool of cold water and ultimately reaches a large glass jar called al-Arousa, where the rose water is collected. At this point the droplets of attar are still in the rose water, so a second distillation takes place, in which the globules of attar rise to the surface as the liquid cools down, facilitating their collection with a device similar to a syringe. The attar collected in just one of these containers produces one single tolah (about 11.7 ounces) that sells for between 2000 and 3000 Saudi riyals. Rose water has sacred as well as festive uses in Arabia. 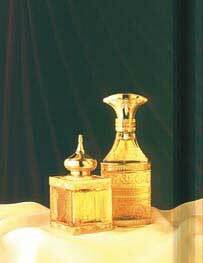 It is used to perfume the Yemeni Corner of the holy Ka’bah apart from being used in the kitchen and for the two Ids. Rose attar is the costliest since a hundred kilograms of roses yield only two grams of attar. In the traditional process of hydro distillation , the fire, known as a bhatti, is of cow dung and wood. Water and flower plants are measured in a copper vessel, which is placed inside a container know as degh. The scented steam passes through a hollow bamboo stem into the bhapka or the condenser placed in cold water with boiled and cooled essential oils. The more you distil, the more fragrant the attar is and of course, as expensive too. Indian perfumers known as the gundhis have their own manufacturing units for growing flowers. Abul Fazal mentions flowers like ghulab, bela, chameli, champa, maulshri and rajnigandha along with the roots like adrak or ginger. According to Abul Fazal the barks used in Akbar’s time were sandal, cinnamon and aloe. Animal substances like musk, myrrh and ambergris were also used along with khus, a type of grass and a few other spices. Today the most used varieties of itr are rose, jasmine, sandal, henna, nargis, majuma, kevda, khus and mogra. Baraatis as they enter the wedding area are sprinkled with rose water. The water for drinking is perfumed with Kevda. On a summer evening, a swab of jasmine or khus lifts your spirits in the oppressive heat of Northern India. Kastoori or musk was for winters and Khus for summers. The most famous and elusive scent for the summer heat is the sondhi mitti, literally the smell of earth after the first showers of rain. Some connoisseurs have exquisitely chiselled attardans (containers), often inlaid with ivory and containing marvellously carved cut glass decanters. A major difference between synthetic perfumes and attar is that the oil-based attar is worn directly on your body. The inside of the wrist, behind the ears, the inside of elbow joints, back of the neck and a few other imaginative parts of your anatomy are directly dabbed with itr. Experts say that the smell of the attar is likely to stay the longest on cottons rather than synthetic cloth. And some attars will evaporate in the heat of summer if not carefully applied. Which is why it is advisable to place a swab of cotton inside the ear. The fragrance will linger on the clothes even after a wash. Unlikely as it seems, the tobacco industry is by far the largest consumer of attar, which is responsible for the aroma of cigarettes. The rapidly growing pan masala industry is emerging as another major consumer. Together, they consume almost 90 per cent of the attar produced. Lemon oil taken internally or sniffed, is good for diabetes, asthma, boils and varicose veins. Three drops of sweet marjoram taken with a little jaggery cures migraine and hangovers. Nausea and vomiting are immediately controlled by petitgren oil. The simplest example of aromatherapy is attar Gill or Itr-e-khaki, (sondhi mitti) drawn from mud, which has the aroma of the first monsoon showers and can cure blood pressure and the flow of blood through nose owing to intense heat. Indian itr is increasingly being used for aromatherapy these days. The floral extracts with oil base can be extensively marketed for aromatherapy. Jasmine extract is useful in cases of stress, hypertension and treating skin ailments. Inhaling sandalwood oil lessens stress and can stop vomiting. Applying it on the chest and throat cures dry cough. Its curative properties extend to skin ailments as well. Marigold extract is an old medicine meant to heal stubborn wounds. It has excellent antiseptic properties. Heena is known for its heat inducing qualities and if used on quilts during winters, it is known to provide extra warmth. If inhaled during summer it can lead to nasal bleeding as well. Kannauj, a small town in Uttar Pradesh, is known for production of Itr. More than 25,000 of the total 70,000 population of Kannauj is engaged in attar production. Some of India’s most renowned attar sellers, apart from Dariba in Chandni Chowk in old Delhi, are in Lucknow, like Izhar Ahmed and Sons, who established their shop, popularly known as Sugandhco, in 1850. Asghar Ali Mohammad Ali, also in Lucknow and established in the early 1800s is one of the oldest traders. They own attar perfumeries in Kannauj. Bombay has its own, rather miniscule, share of attar walas in Mohammad Ali Road. Most towns have their own old man with a box full of attar all over India. There are various centres for the raw material too. Roses come from Sikatra near Aligarh.Kevda comes from Ganjam in Orissa. Chameli and motia comes from Sikandarpur on the Uttar Pradesh-Bihar border. Most of the attars have been around for centuries and attract connoisseurs who don’t let anything except the season come in the way of their passion. Some itrs that are either restricted or banned. Sandalwood, for instance is a restricted item, but the government releases a quota for manufacturers. Musk is now prohibited since overkill has made the musk deer almost extinct. A few attar manufacturers claim that they can remove the deer’s fragrance by injecting it out through its stomach without having to kill it, but musk is a prohibited item. Other rare itrs are amber and myrrh. Rooh Gulab is the costliest of all attars at Rs 3,500 ($70) for a vial of 10 gm. Chameli and Motia are also quite expensive. Attars are priced anywhere between Rs 1,500 ($30) per kg to as much as Rs 10 lakh ($50,000) per kg. For a vial of 10 grams you pay Rs 150 ($5) to Rs 4000-6000 ($80-$120). Smaller vials of 2, 5 and 10 ml are commonly available for as little as Rs 60. ($1.20).